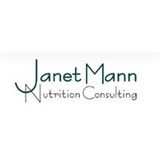 Janet Mann Nutrition Consulting (Oregon City) - Book Appointment Online! Your day-to-day eating habits, not specific foods or supplements, are what affects your health. Changing your long practiced and ingrained eating habits can be daunting; but with guidance and practice, it can be achieved. I practice what I preach by eating regularly and well and by exercising regularly. I eat whole and natural foods, emphasizing those that are fresh and less processed. However, judiciously including some processed foods gets a healthy meal on the table faster. I eat some organic foods, but I don’t eat them exclusively. I believe the U. S. food supply is one of the safest in the world. I believe that all foods can fit into a healthy lifestyle and there aren’t many foods I refuse to eat. I don’t dictate a particular regimen that you must follow in order to be healthy. Together, we collaborate on a plan that moves you in the direction of eating healthier. She is really helping me to get my eating habits back on track. Very knowledgable and personable. I also like that she has evening appts available so I dont have to miss work.